MISSOURI RIVER, Missouri - Legendary long distance stand up paddler Bart de Zwart just finished up the MR340, a 340-mile paddling race on the Missouri River, and he just set the new record for fastest time, beating the previous record by a whopping 10 hours! Here he recaps the race and how he got to the finish. Coming into this race I wasn't sure how my body would react so close after the Yukon River Quest. 14-days is not much of a recovery from a 55-hours race. Although I wasn’t like new, I had taken enough rest and easy to medium training sessions. I felt I recovered well, my blister healed and only my toes were still numb. The day before the race at the briefing I realized the amount of people racing. A huge conference hall was packed with 1,200 racers and support. Scott, the main organizer, did a funny and well planned briefing, pointing out info and hazards of the race. I met some of the SUP racers who entered (20 SUP of the 500 paddlers). Shane Perrin, local, the first to finish this race and also fellow SUP adventurer entered the race with a 4-man tandem board. His team a 30, 50, 60 and 80-year-old. The early morning start was impressive, about 250 solo paddlers (20 SUP) in the first wave and another 250 in the second wave with the two-man and multi kayaks and canoes. With many other paddlers again this year there was still a lot of disbelieve if it is possible to do it on a SUP. I explained that we are maybe standing for 50 plus hours, but the canoes and kayak have to sit for the same amount of time and we are able to sit down and change positions during a break. I know we are in theory a slower craft with our 14’ and 25” wide compared to the narrow kayaks and surf skies in this race, but for me sitting down for 50 hours would be way harder. I say it is just perspective. SUP is what I do and know best. 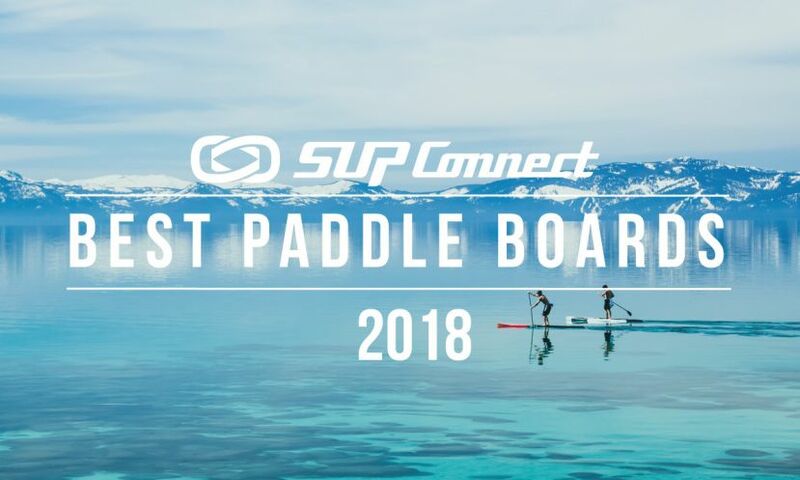 A few of the 20 SUP racers had aspirations to break last year’s record (61hrs 28) which wouldn’t be that easy this year because the river was running slow and it was extremely hot. It did motivate me though. I started with a good pace to see if anyone would keep up with me but I soon found out I was pulling away from everybody but there were plenty of kayaks and canoes. I saw Joanne Hamilton-Vale also starting fast with one of two other SUP racers right behind her. After pulling out of the Yukon River Quest, she was very determined to finish this race. I also realized pretty quickly that drinking and keeping myself cool was key during the day. I splashed myself every 15 minutes and stayed wet all day which worked very well for me in the 99° Fahrenheit temperatures during the day. At the first check point about 7 hours into the race I was about 30 minutes ahead of the rest of the SUP pack. I met up with kayaker with whom I spend most of the next 24hrs. Shortly before the evening we ran into a sudden thunderstorm, which came up out of nowhere. At first I was battling the wind and rain so I pulled over to the river bank when the lighting started and we waited for about 20 minutes before the lighting was gone and we went off again. I didn't worry too much because I thought I had a comfortable lead. But I would be in for a surprise later on. After I did an adventure about 12 years ago where I was 70hrs under way and just two miles from the finish, I ran out of water and a map and had to give up. The race director told me something I always say to myself. “It ain’t over until it is over”. Spread your energy, keep drinking, eating and resupplying until you are finished and expect things to change or go wrong until the end. In a race like this it is key to keep eating and drinking all the time. With burning up to 10,000 calories a day you need the energy to keep performing. Equally important with the food you use is that you have to train with your food specially for long races like this, to find out how you react to it. I see a lot of opponents struggling with this. I drink a sports drink, (made for races that are three hours and over), all the time for the whole race, apart from the normal water, electrolyte tablets (especially when in weather like this) and eat something solid every hour. After 16 hours of paddling the first night I took a quick 20 min. nap. I was very tired the first night, I think mostly because of all the traveling the days before the race and a short night the day before the race. A 20 min sleep did me very good. When I arrived at the 5th check point and I thought I had a very good lead. I needed more sleep. So, I went on land and talked my support, Mark Price, who had been great all race with changing out food and water at the check points, so I told Mark I wanted a two hour sleep. After about a hour and a half I woke up and felt ready to race again. To my big surprise Mark told me that 45 minutes ago a SUPer Mitch Anderson had passed me. Until that point we didn't know he had been only about one to two hours behind me. Mark didn't know if he had to wake me up or not so he let me sleep. I would have wanted to be woken up and I knew it was my fault for not telling him what I wanted in cases like this so it was not his fault. Suddenly full of adrenaline, I quickly filled my water packs and sped off. Within the first hour I passed six other paddlers (kayaks and a canoe). Every time I saw someone in the distance I focused on them until I would catch up. Suddenly, this became a race again. I figured Mitch Anderson could not have slept much at all so I would be a lot fitter and I knew my speed was higher. It could take up to six hours but I was determined to catch him. Mitch was on a 19.7 foot board which made it also a pretty fast board apparently. After two hours I caught up. At first I didn’t realize it was him because he was sitting down and resting. At that moment, he had it very difficult because he was super tired and spent. I talked to him to make sure he was okay and made sure he was all right before left. At that point he didn’t have any speed and said he had to make a stop but later he would re-find himself and finish strong. The remaining 24 hours of the race I didn’t do any real sleeps any more. Just short two-minute rests hanging over my pack on the board to relax the back muscles. I would do this everytime I felt sleepy. Even in the one or two minute rests where it is more about relaxing you doze off for a few seconds, which takes the sleepiness away for a few hours. I always do better in the courses of long races, and also this night, I was very awake and relatively fit apart from my back muscles which had started to burn. Sleep, rest and refuel management is a big part of races like this. You can win a lot or lose a lot. I think my strategy, with some sleep worked better than the ones who pushed on, most crashed at some point. On the other hand some stopped too often or for too long. It is different for everybody. When I got closer to the finish, I got an extra push of energy. The home stretch is always easy even when you are very tired because you are just so ready to be done. I got in after 51 hours and 16 minutes and broke the record by more than 10 hours. Mitch came in just an hour after me, an incredible effort on his part followed by Joanne Hamilton-Vale who beat a lot of guys, she came in 12 hours later in 61 hours. I arrived at 10:16 in the morning and after a shower I ate the best watermelon I have ever had and I spend most of the day, watching the other racers and cheering them on when they came in. It is beautiful to see and watch them arrive, totally empty but happy it is over and they made it and are happy and emotional to see their support and loved ones. When I got in my support was helping Joanne who was still far away and I came in by myself. My big love, was sitting at home at 4am in the morning behind a computer screen waiting to see how I did so I jumped on a quick Skype call with her. Another highlight was when Shane Perrin with his tandem and his crew came in. Among them was Dale Sanders (pictured below), not only is he a special person to talk to he is 82-years-old, did the MR340 four times and has never made it to the finish, and now at 82 he made it with Shane on the tandem. Inspiring. I was surprised to learn I was only the 15th craft to finish. I expected there would be a lot more faster crafts in front of me but it was a slow current and hot year and nobody met their goals. As with me, goals are easily set behind the computer. The reality is often a lot harder. This one was one of the toughest races I have ever done. The heat, the distance and the sleep deprivation made it so tough. So how did I feel? After the race, let’s say 40 hours of paddling through two nights with all together not even two hours of sleep, the scorching heat, the burning muscles aches in your back the numb toes, knowing that you have to paddle for at least another 10 hours, you feel pretty bad. This is where the mental strength comes in. Although your body is begging you to stop there is this will to finish the race, as good as you can do. And for me also knowing that feeling of satisfaction when you arrive and looking at this race from a whole other perspective, may be more as an outsider. Like I said before, after a race like this life around you just became an even better place. I think more and more people will start to do races like this on a stand up. Also here, we opened many people’s eyes that it is very possible to use a SUP. It is a race and adventure and you will learn a lot about yourself. But, if you are new to this kind of racing, start with a shorter race up to 24 hrs and learn how the body reacts. This was part two of six of my Ultra long SUP races this year. I will be resting for a couple of days, before I start training for the 11-city Tour in September. I hope to inspire stand up paddlers to go explore, adventure and race, there is still so much to see in this world. Big thanks to Starboard for making my adventures possible, Black Project fins, Supskin, Mauijim, my support crew in Missouri, Mark Price and most important of all my beautiful wife , Dagmar.